Rather than buying one of the stage 1,2,3 Roush cars I decided on this. 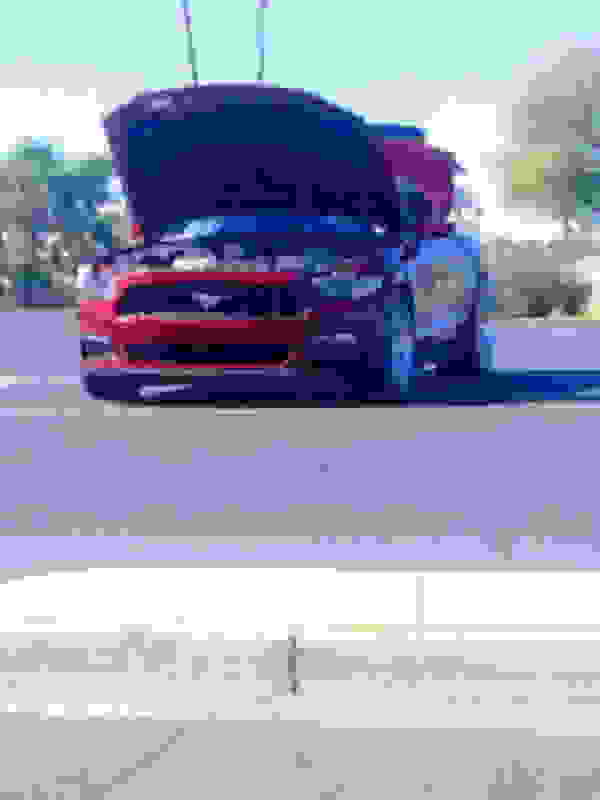 It's called Roushcharged package. GT, (I chose automatic for my reasons,). It goes to Roush from Ford and the install the supercharger, larger injectors and then dyno tune, heavy duty half axles, and Roush badges. 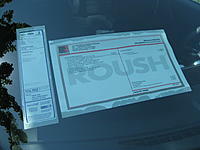 It has a Roush serial number and and signed under hood assembly worker. Roush has the factory install 3:55 gears for the automatic cars. Roush says the 670 HP cars actually dyno at about 696 HP. 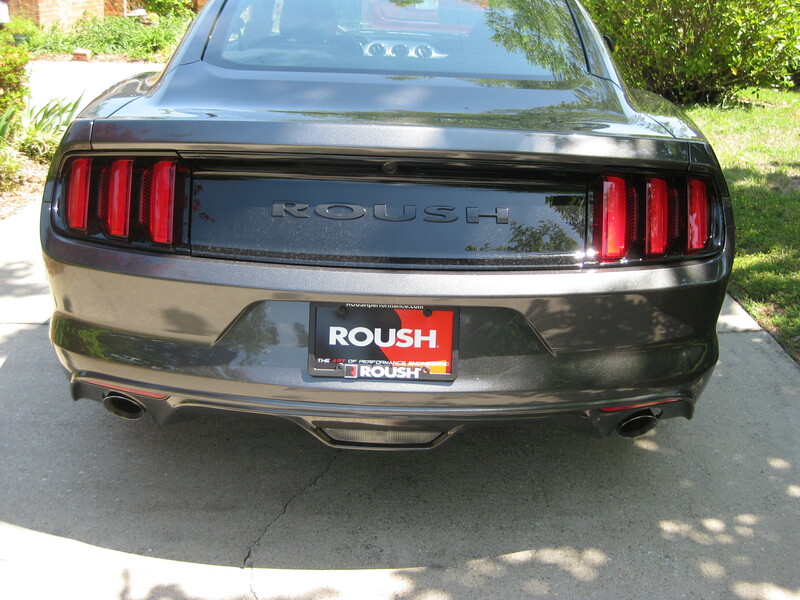 The dealer, ( Tindol Ford, Gastonia, N.C.) installed the Roush axle back exhaust. To say it's a beast is an understatement. I do not drag race, street race, or run road courses. 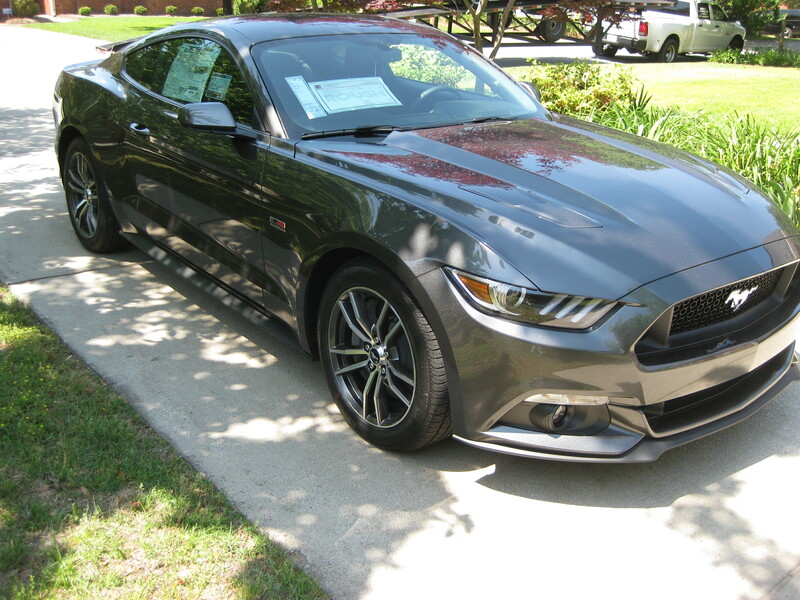 I bought it because I always wanted a Shelby or Roush. 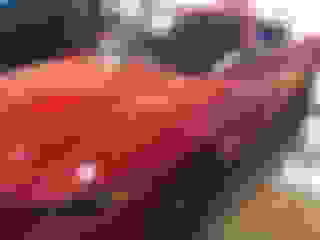 It's my everyday car. I'm retired so each time I drive it I'm 21 and have a drivers license. Well, I have a drivers license. Out the door it was under 50K. 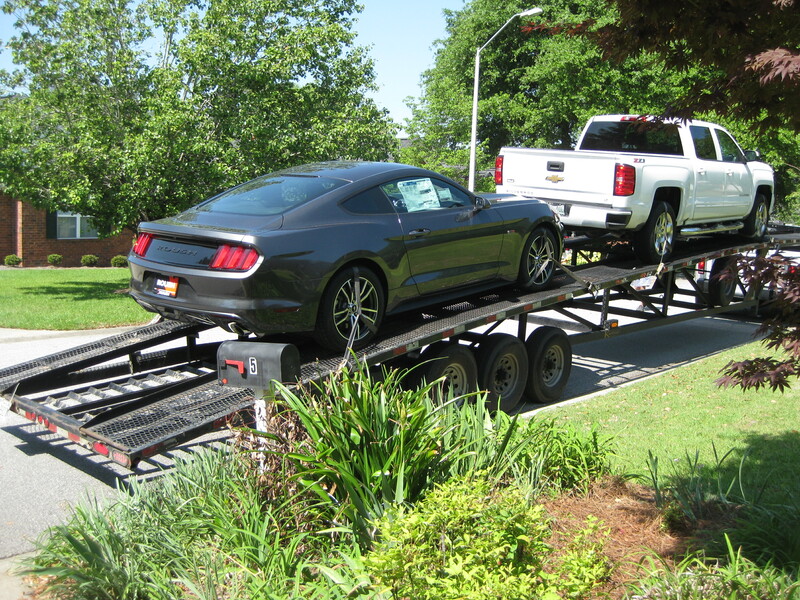 The insurance company insures it as a regular GT. How exciting! GREAT looking car. Congrats!!! Fantastic price! Congrats! What did your base car cost to allow for the 50K total? My 2016 GT was pretty much loaded with accessories & just having the Rough Supercharger package installed by a Authorized Roush dealer got it up to $45k. 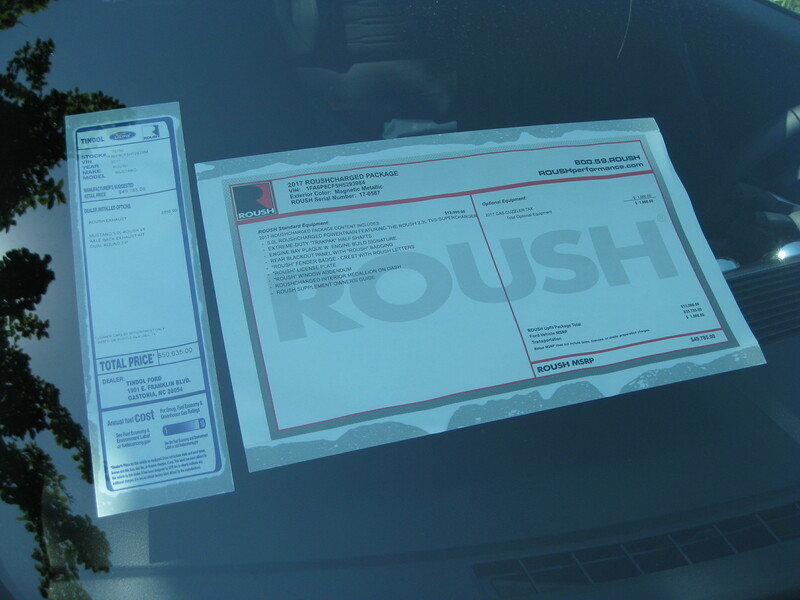 His car doesn't have all the Roush plastic, just the good stuff. Good price. larietrope, first off, beautiful ride. 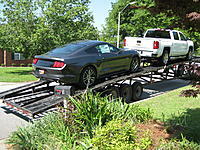 If you are dealing through Tindol Roush Performance, Gastonia, NC, you are at the top shelf. I have spoken with their ROUSH Sales Manager, Lyle Sturgis, and he knows what it is all about. Be confident with Tindal and enjoy your ride. I have a 2017 with a stage 2 Roush supercharger, 3:55 Automatic w paddle shifters, and only 4800 miles on her. Ruby Red with Black cloth interior. Factory warranty still. For sale: $ 33,500 firm. Car is in Mesa, AZ. Aha! I’ve already learned something after first visit! 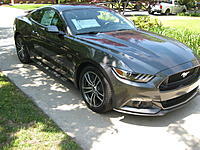 i see from this post that I too have the Roushcharged GT package! I never knew it had a specific name, I just wanted a “sleeper” style since I’m not a huge fan of the Stage 3 cars’ front fascia look, and wanted minimal badging. I’m going to go change my member page to show that...thanks!